Kids Summer Camp is aimed at 8 o 12 year olds. Teens Summer Camp for 13 to 17 year olds. 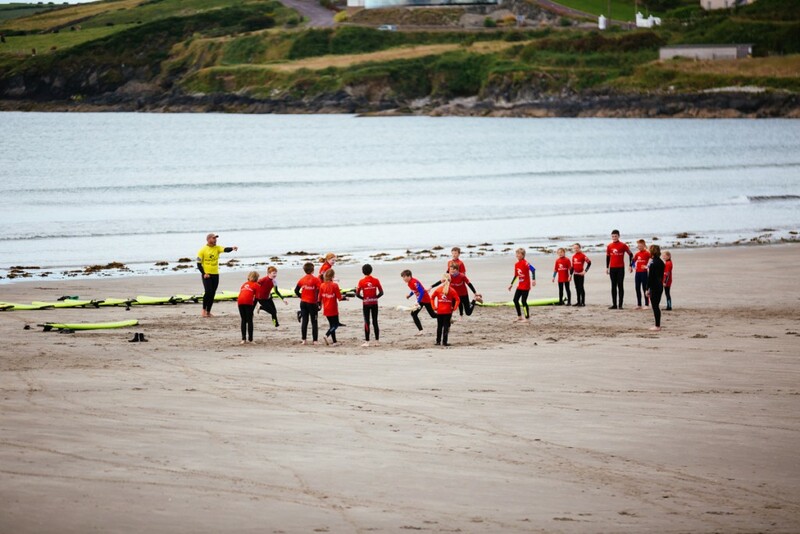 5 Day Surf Camp €100, all equipment included. 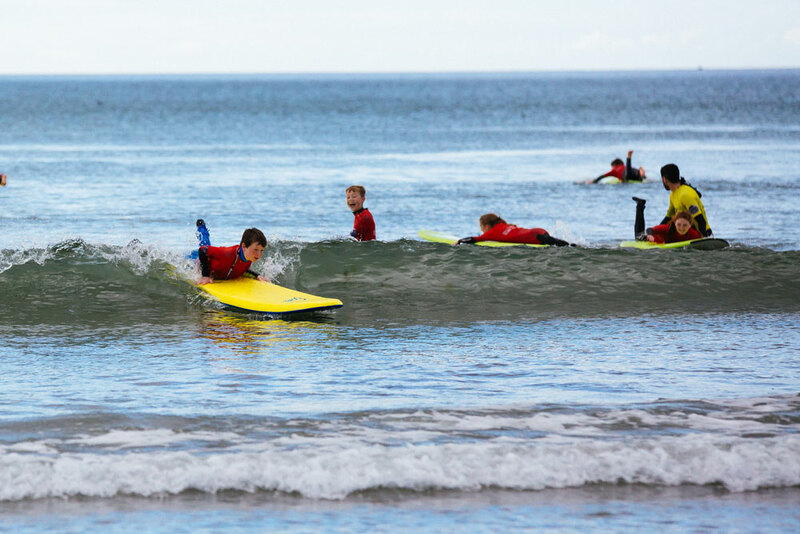 With a maximum of 8 students per instructor, the emphasis is on safety and fun. 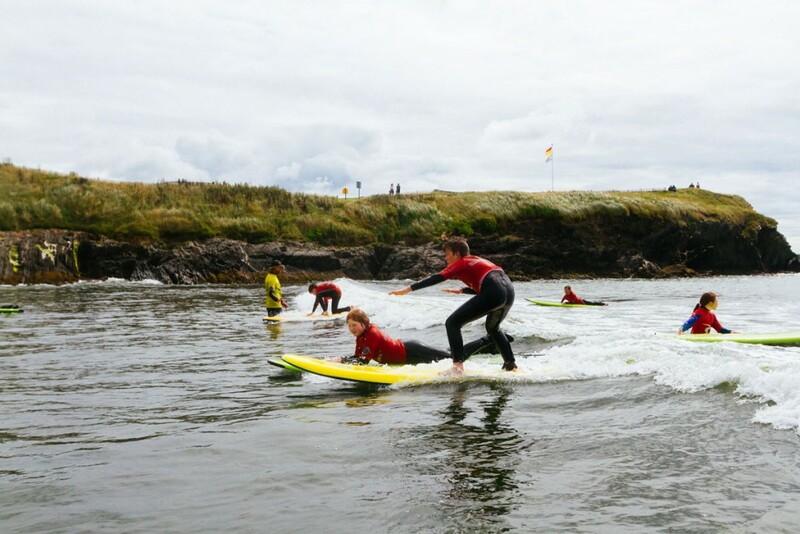 The camp’s are a great way to introduce the students to surfing in a fun and safe environment with other children of their own age. All you need to bring are swimming togs and a towel. 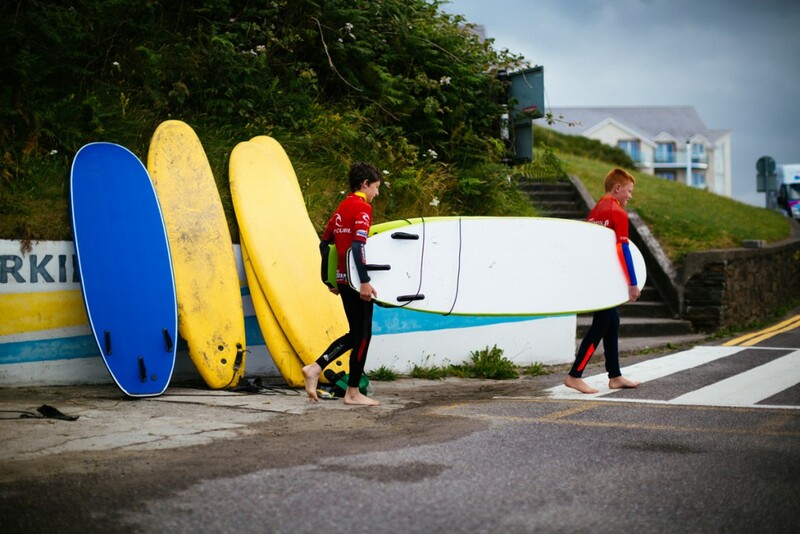 Each day starts with suiting up at the surf school and heading down to the beach with the boards where the instructor will begin each day’s lesson with a brief introduction to a different surfing related topic. With the theory out of the way, it’s into the water and surf, surf, surf. 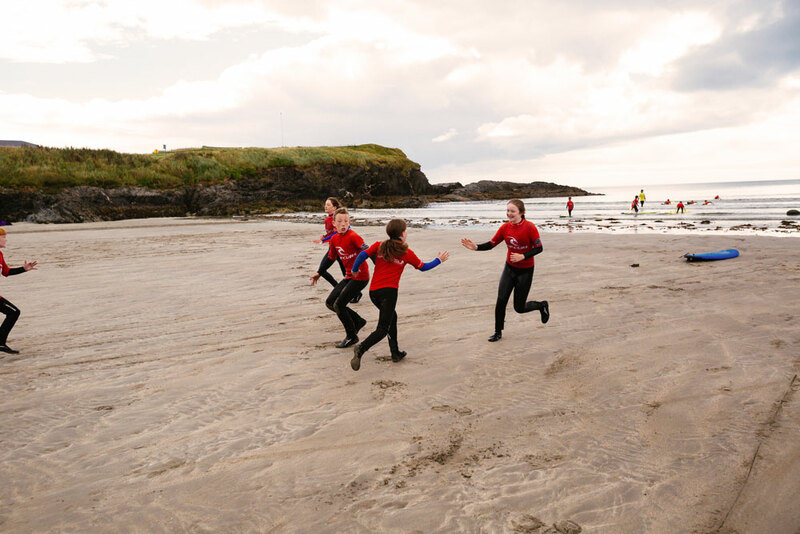 As the kids usually pick up on the basic techniques and style faster than older age groups, we encourage trick moves and water based games so they can really get the most out of their week! Repeat customers, do not worry. The kids will definitely not be bored. 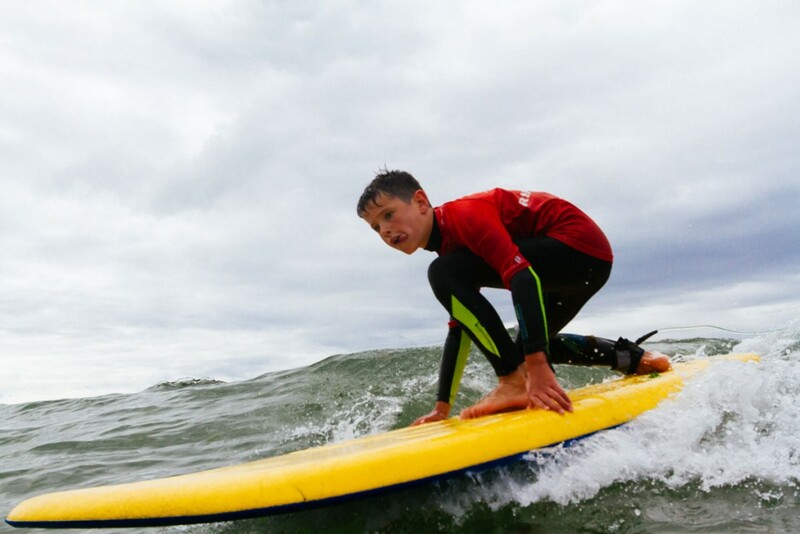 Every day the surf is different due to wind, tides and wave size. These factors combine to produce different conditions for a new challenge each day. 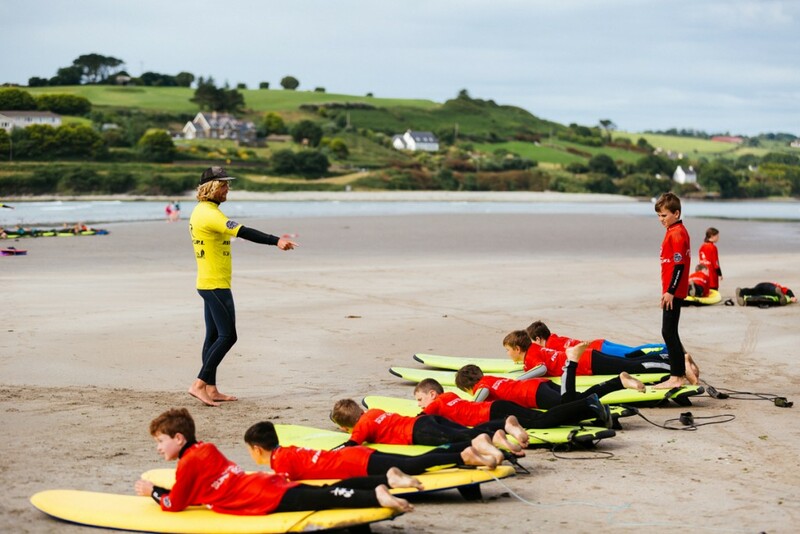 Our Instructors have a broad range of skills set and knowledge and will impart this relative to the students ability. Everything covered in beginners lesson + basics on catching clean unbroken waves, trimming board, turning left and right, fine tuning technique, timing, trick moves. With buckets of fun thrown into the mix !